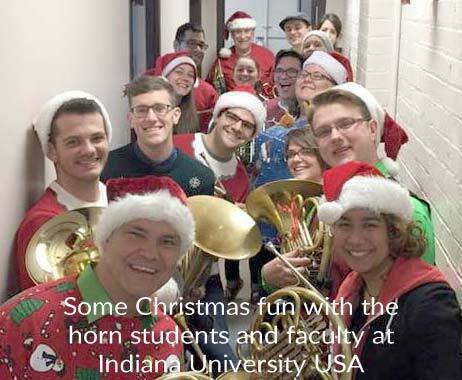 Welcome, one and all, to this, the December 2015 edition of the IHS E-newsletter. Your newsletter team is constantly discussing new articles or interesting stories, and we think this issue has a couple of beauties! How about a legend interviewing a legend? We've got that, in a great interview of Roland Berger by none other than Dale Clevenger! How about some personal insights into a legend's teaching? We've got that, too, in reflections on the teaching mastery of Arnold Jacobs by Thomas Jöstlein. Since it is the Holiday season, we also have gift ideas and discounts for you and yours! As always, we want your input, your questions, ideas and suggestions, so please use the "Contact" banner below to send us a message. 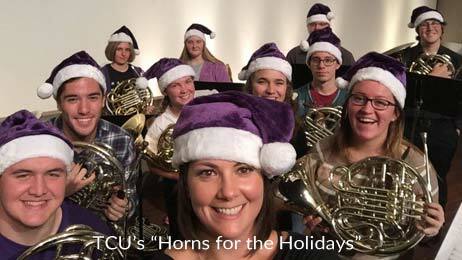 From all of us on the Advisory Council, and your E-newsletter team, I want to wish you all the Happiest of Holidays and a healthy, prosperous, horn-filled 2016. Amazon donates part of the proceeds to the IHS. Dale Clevenger: In your career, you've played Bruckner 4 many times, with many different conductors. DC: Can you tell us how it is for you to play Bruckner 4 on the Vienna horn, and how it is with different conductors for rehearsals, concerts, for recordings, and tours? RB: The problem is always Bruckner 4, not the conductor. The conductor is immaterial. Bruckner 4 remains equally hard, no matter who's conducting. RB: Hmmm, it's now difficult to say. No one comes to mind at the moment. DC: So, with Vienna horn, what is different? Is it more difficult? RB: Well, I believe Bruckner 4 is a large task for any horn. It doesn't have anything specially to do with Vienna horn. RB: Yes, everything is a little harder. DC: I think Vienna horn is much harder. RB: Once I played a series (of them)- I think in one season, I played Bruckner 4 13 or 15 times. RB: it gets much easier then. If you only play Bruckner 4 once every 5 years, it's always the same story - you have more tension. If you play something like this often, you think, yeah, it's generally gone well (in the past.) You have trust in yourself. Once on a tour through Germany, I had to play Bruckner 4 four times in a row. By the last of the four concerts, I was totally relaxed and calm. You get used to this, and when you're successful, you have more self-confidence. 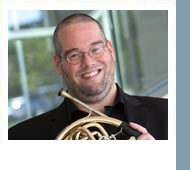 Membership in the International Horn Society makes a great gift. Now through December 31 we're offering a $5 discount on new one year or student gift memberships! Click HERE for instructions. When you get to the payment page enter IHSGIFT2015 in the coupon box. Lessons with Arnold Jacobs were memorable from the second you entered the Fine Arts Building in downtown Chicago. There was the next door "Artists' Cafe" (that must be where the CSO players all eat after shows! ), the ornate iron, glass and woodwork, and of course the smiling older gentleman who operated the elevator, with its accordion-style metal door. Seventh floor! I arrived early enough for my first lesson to look around: the broom closet at the end of the hall ("William Shatner School of Acting," it read), the shrill voice lessons next door, and of course Jacobs' Santa Claus voice wafting out to the hallway. The door finally opened, revealing both the legend himself, and also my former Interlochen Arts Camp horn teacher, Randy Faust, smiling from jowl to jowl. I knew I'd be fine. 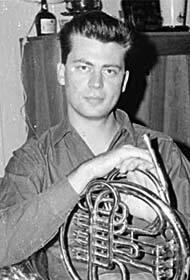 Jacobs, the longtime Tubist with the Chicago Symphony Orchestra, was known as THE brass teacher for decades. 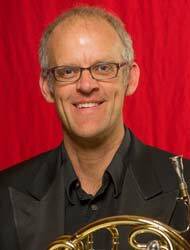 I have my summer horn teacher, Nancy Fako, to thank for the idea of seeing him ("maybe he'll put a bug in your ear"), and my teacher at Rice University, Bill VerMeulen, for the phone call to Jacobs that got me "in." (I remember Jake testing and teasing me for a year, having me call every three weeks at certain times, to see how committed I was. My pay phone call from super loud Comiskey Park was especially tricky to manage, but it paid off). My first lesson began with the usual measuring of my vital capacity on a large metal machine, resulting in a rather paltry five liter reading. "With your height (6'4") and age (21), you ought to be well in excess of six liters." "Unfortunately, we need to work on respiration, and not music." Out came the breathing bags, the tubes with ping-pong balls, the anatomy charts. I mastered these quickly enough to warrant a try on the horn. What followed next sticks with me to this day: Jake quickly put the focus NOT on the respiration, but indeed, on the MUSIC. We are looking forward to seeing you in Ithaca for the 2016 International Horn Symposium, June 13-18! Bookmark the website: http://www.ithaca.edu/music/ihs2016/ and return to it often as more information gets added. This is going to be an exciting and packed event. See you there!